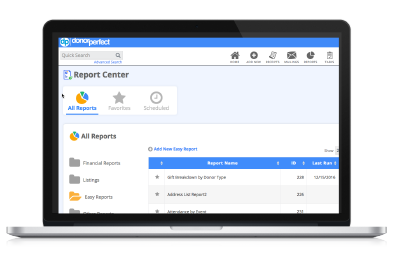 Thousands of nonprofits of every type use DonorPerfect to track and manage unlimited fundraising, donor and donation data in one customizable database. As a nonprofit, nothing is more critical to the success of your mission than managing and growing your relationships with donors, volunteers, foundations, and other constituents. 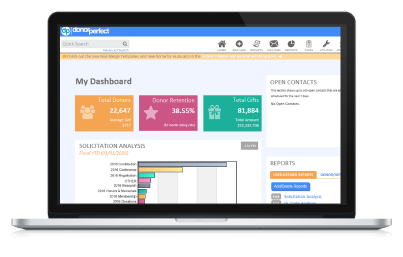 Both the Online and Installed versions of DonorPerfect Fundraising CRM software were designed specially to help nonprofits achieve these goals. 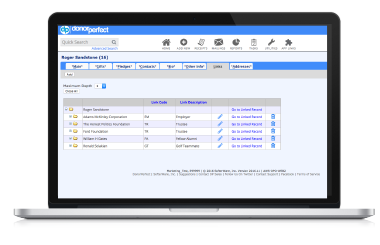 It’s the easiest, most flexible and cost-effective nonprofit CRM software available to enable you to raise more money and manage constituent relationships. One centralized fundraising and donor CRM database so everyone works with the same, up-to-date data! Modify virtually any standard report, or create your own unique reports from scratch. Request Information and a Free Demo. 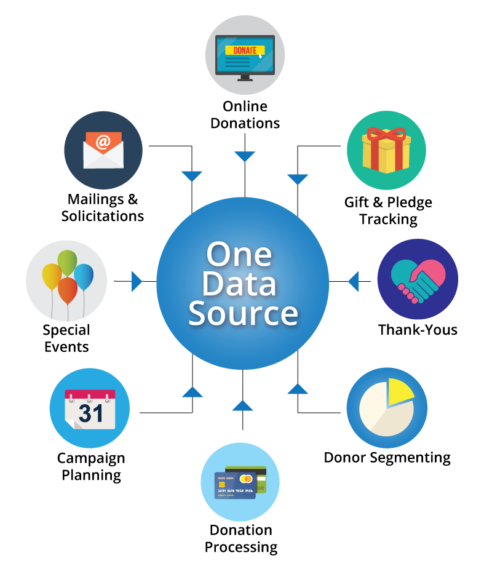 Can manage unlimited data in one easily customized donor CRM software database. Contains sophisticated reporting & analysis helps identify the source of your next big gift. Allows for easy merges of donor data into customized thank-you letters, e-mails and direct mail. Improves pledge entry and the recognition and management of gifts and pledges. 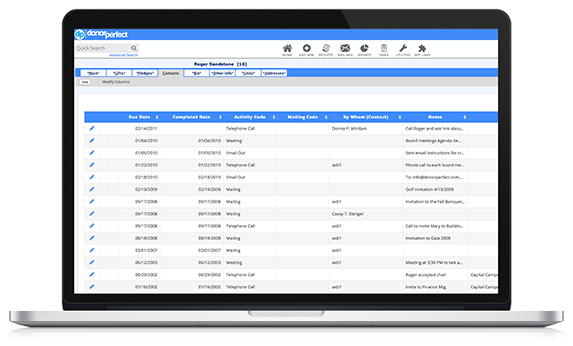 Also quickly generate reports on grants, campaigns and events. 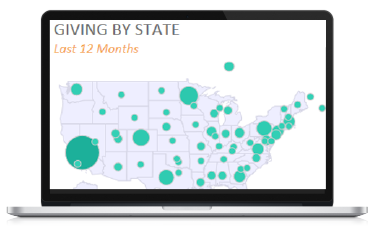 Track donors, uncover hidden trends, refine solicitation activities and analyze your results! Fast and accurate process for entering, recognizing, and managing every gift and pledge!